The Rise of Retargeting/Remarketing | ASTRALCOM - Content Strategy, Conversion Marketing and Customer Acquisition. Remarketing allows marketers to directly connect with and engage their audience with personalized ads and messaging after the initial brand encounter. With clearly measurable ROI and consistently strong performance, remarketing /retargeting has become an essential tactic for businesses today. 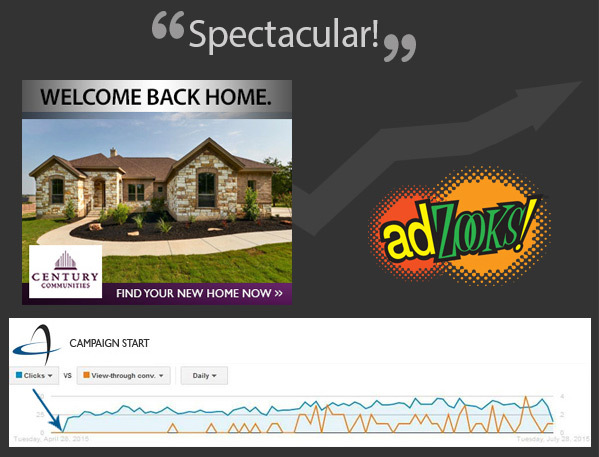 For example, see the response from Century Communities regarding the remarketing campaign that ASTRALCOM did for them. Check out AdRoll’s Guide To Remarketing. It has checklists, charts, and examples from industry leaders. The guide offers tip on how to set up and implement a remarketing plan that performs, from start to finish. Let’s try a remarketing campaign for your business and you’ll be saying “Spectacular!” too. Click or call us at 800.536.6637.